Snowtown serial killer Robert Joe Wagner will apply to have a date set for his release from prison, but victim advocates say his bid for eventual freedom will retraumatise the families of those he murdered. Wagner is serving 10 consecutive life sentences over the infamous "bodies-in-the-barrels" killing spree, and has applied to the Supreme Court to have a non-parole period set. In a handwritten letter to the Supreme Court Wagner said the setting of a non-parole period would improve his mental wellbeing. "Even if the non-parole period was lengthy, just having a date would be beneficial for me," he said. "I have done almost 20 years in custody and I hope that this can be taken into consideration. "My behaviour in prison has been reasonably good." Wagner said he would like the chance to spend more time with his 21-year-old son. "I have been in custody since he was 18 months old and would very much like the chance to spend time with him in the community," he said. But Homicide Victims Support Group founder Lynette Nitschke said the possibility of parole would retraumatise Wagner's victims. "You just want them to go away and not hear about them," she told The Advertiser. "One of the hard things is going through all of this over and over again." 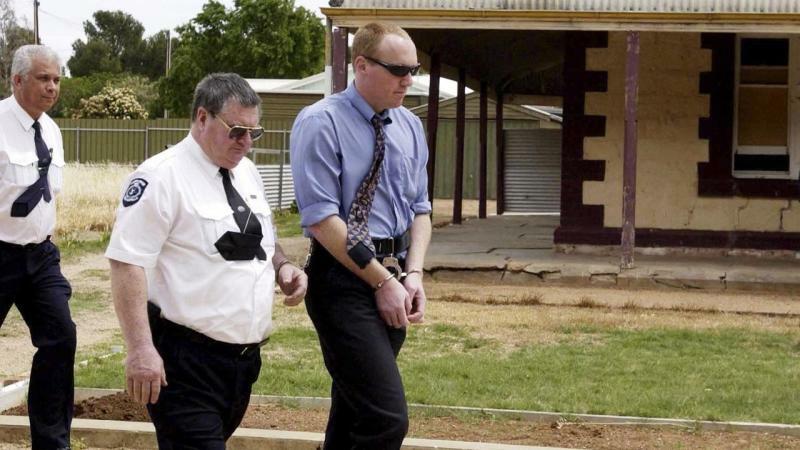 Their killings were were exposed in 1999 when police found eight dismembered bodies in acid-filled barrels in the vault of a disused bank in Snowtown, north of Adelaide. Two more bodies were found buried in a backyard at suburban Salisbury North while detectives later linked two further deaths to Bunting and Wagner. After a trial lasting 170 days, Bunting was found guilty of 11 murders and Wagner, who had pleaded guilty to three, was convicted on a further seven charges. The jury was unable to reach a verdict in relation to one of the killings. Bunting and Wagner had claimed they were taking action against pedophiles but also tortured their victims and accessed their bank accounts to drain them of welfare payments. Wagner's application for a non-parole period will be heard in the Supreme Court on Monday.